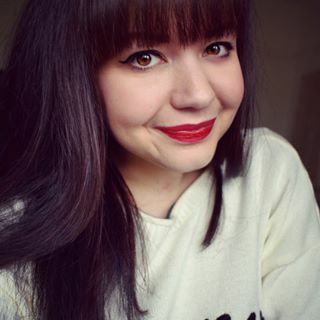 I’ve been meaning to try this for ages so I decided that today was the day. 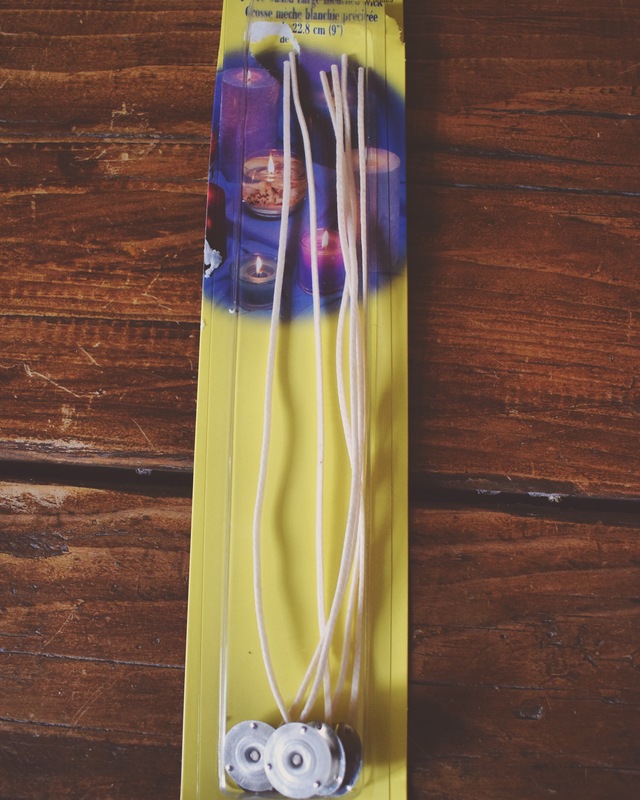 Some wicks… I got these from Hobby craft, 6 for £3.99. Make sure they are long enough for the jar you are using. It doesn’t matter if they are too long as you can cut them down at the end. 2. 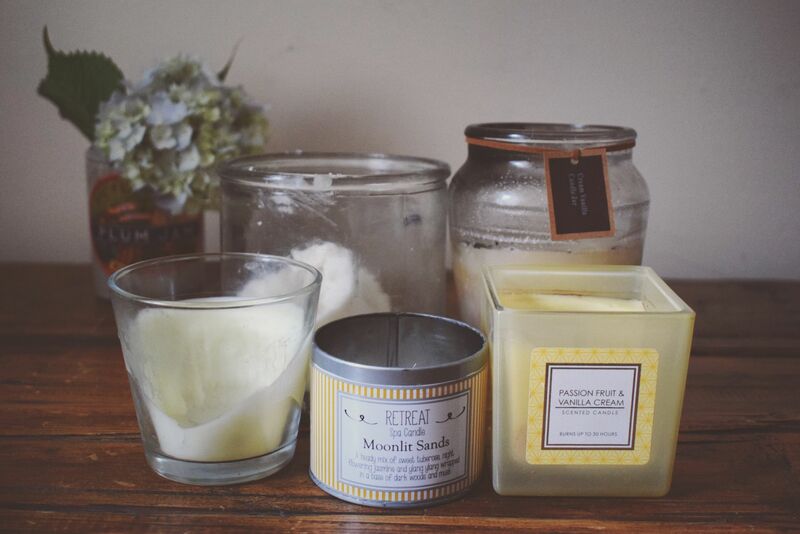 Gather your collection of old candles and decide what scents compliment each other. This will help when determining which order the wax will go in. 3. 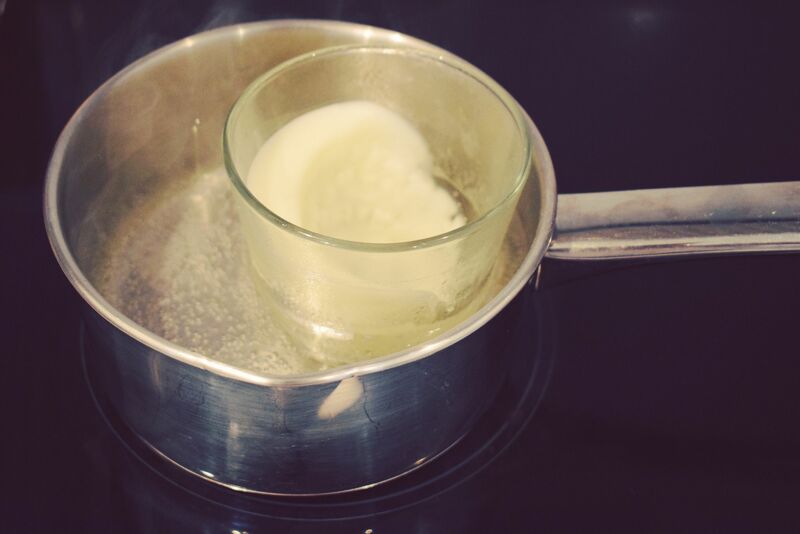 Boil some water in a pan, and pop your first candle in until all the wax has melted. 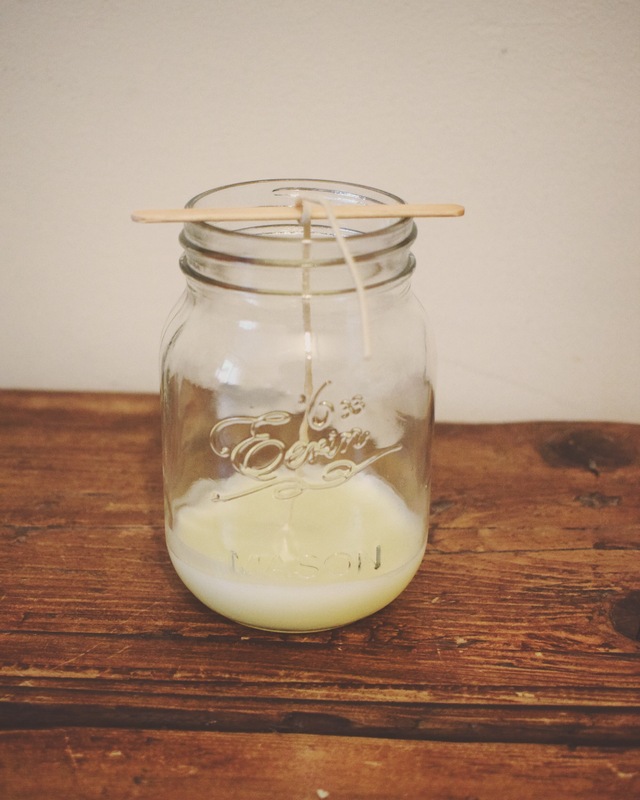 If it still has a wick in it, carefully remove it and try not to burn your hands. 4. 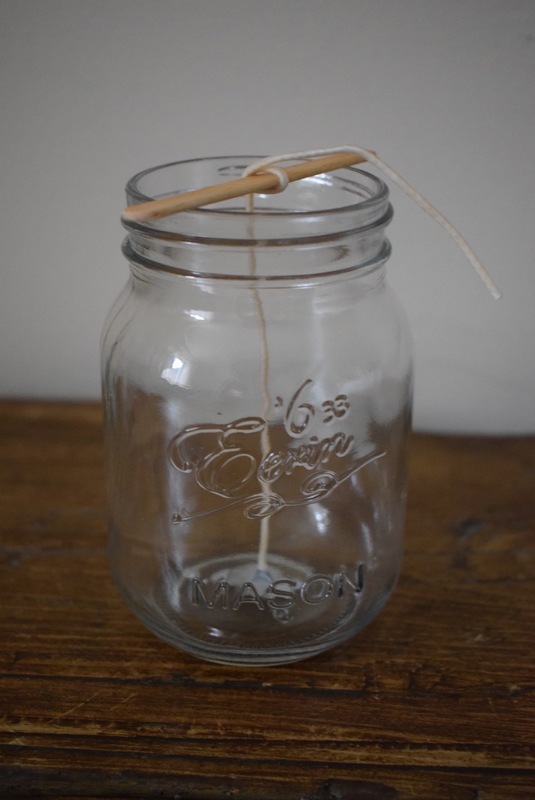 Whilst the wax is melting, dip the metal bit of your new wick in to it and place it inside your mason jar. This will help it to stick to the bottom. 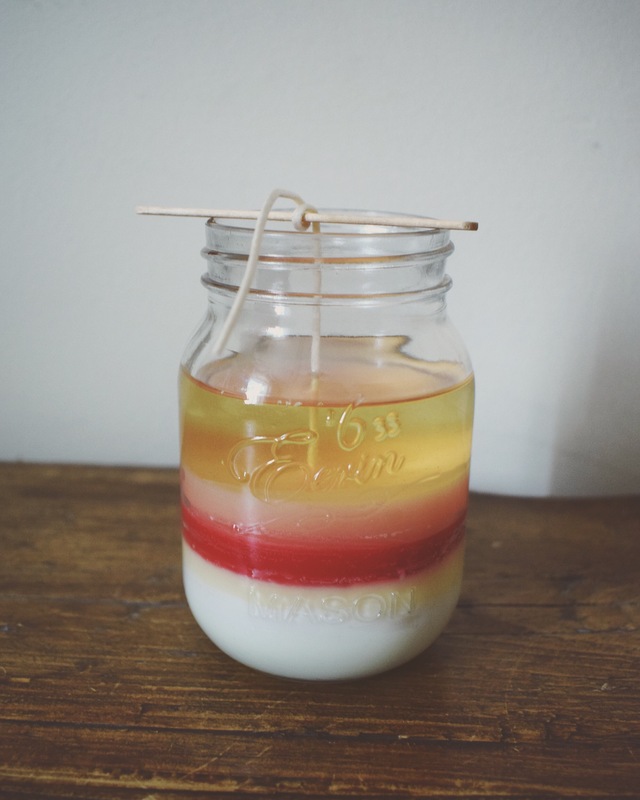 Then use a lolly stick or something similar to wrap the top of the wick around to stop it from moving. 5. By this time your first lot of wax should have melted. 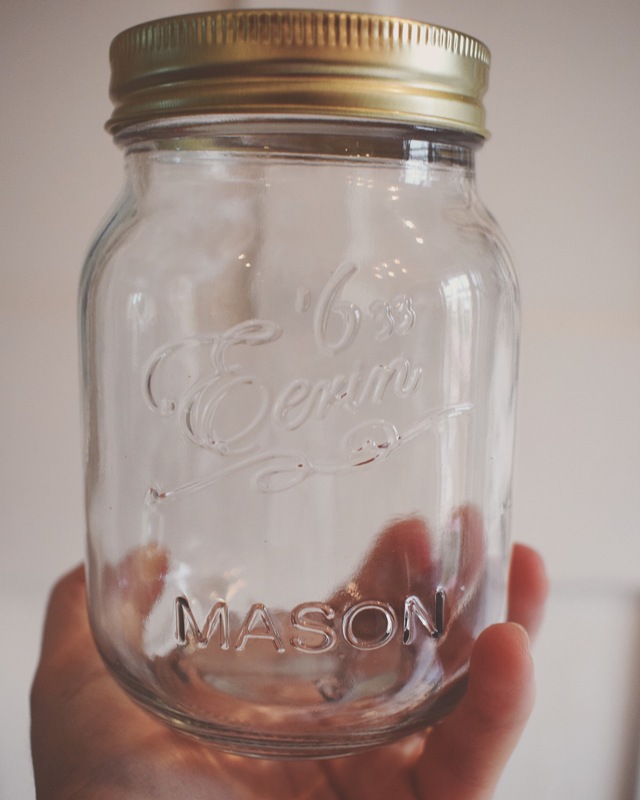 Carefully pour it in to your mason jar and allow to cool and harden before repeating the process with a new wax. 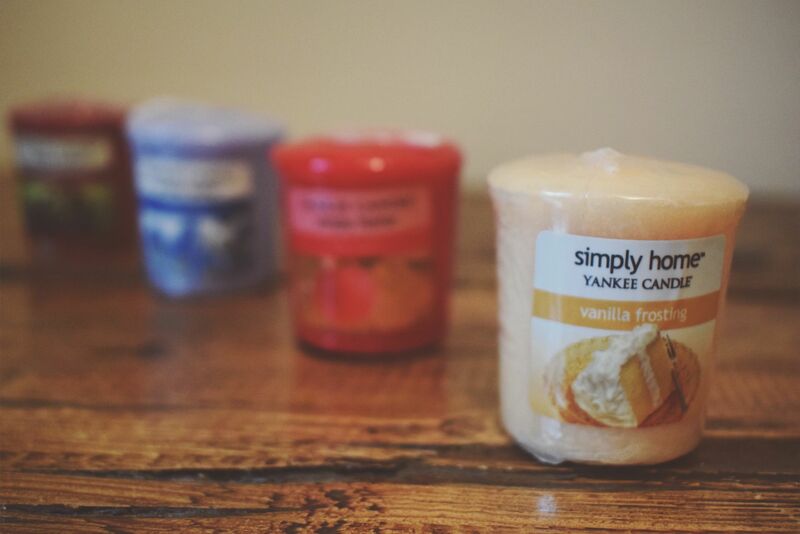 I also bought some small Yankee candles to add to mine as they were on offer in Home Bargains – 4 for £2. 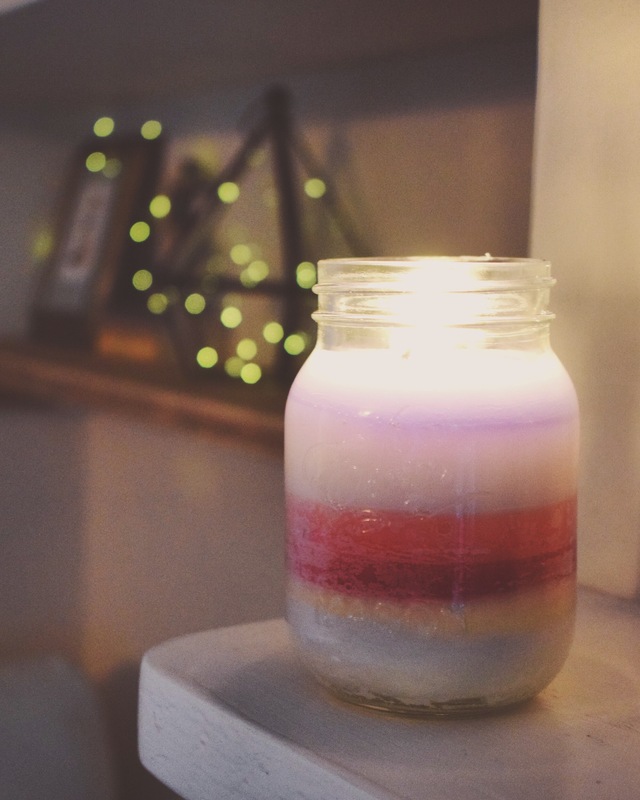 It has taken me a few hours to finish the candle but it’s pretty hassle free as you can just pop back to check on the wax every now and then whilst getting on with other things. 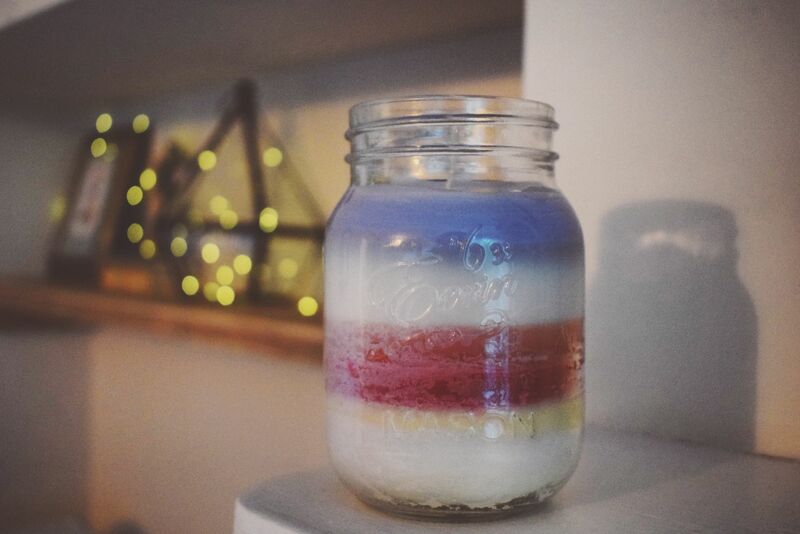 These handmade candles make a lovely gift or a great rainy day activity to do with a child (supervised by an adult of course.) Or just do what I did, and make one for yourself. I hope I have inspired you all to give it a try.